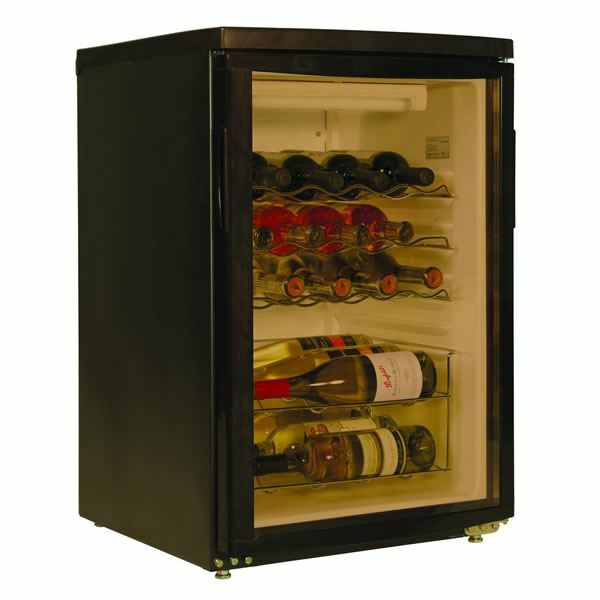 This great value under counter wine display unit is supplied with scalloped shelves designed to safely hold up to 18 75cl bottles of wine. 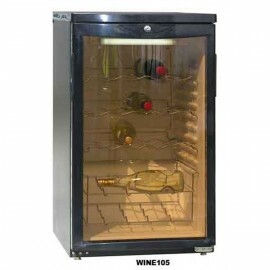 The undercounter wine chiller also comes complete with a smoked glass door and adjustable temperature for a cool display of your wines. 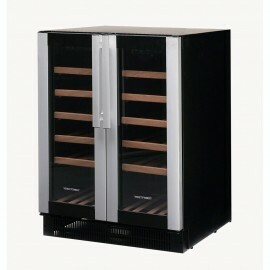 The Vestfrost W32 Wine Cooler features dual temperature zones making the unit ideal for cooling both.. 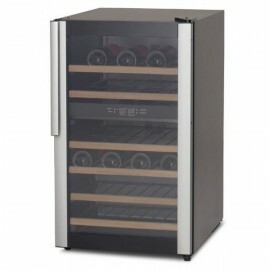 The Vestfrost W38 wine cooler has a 38 bottle capacity with dual temperature zones, LED lighting and..
For a great low priced undercounter wine cooler the Blizzard WINE105 is ideal. This unit is mainly u..